The men’s fedora hat is one of the most classical and traditional hats for men, which has been popular since it appeared on the market. Regardless of the long history, the fedora hat is a truly classic and timeless hat that will never go out of fashion. 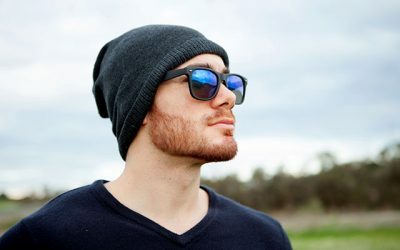 It is indeed a style that every single man should own in his wardrobe suggested in this article https://thebesthat.com/9-classic-hat-styles-every-man/. Since the fedora hat is such a popular and well loved style on the market, there are thousands of brands and styles of fedora hats that you can find on the market. If you don’t have much time to browse thousands of products, check out our review below for the best and highest quality fedora hats for men in 2018. This timeless traditional fedora hat is the entire thing that you need for a formal event. There are 6 solid dark colors for you to choose from such as black, brown, charcoal grey, and navy. This fedora hat features the traditional fedora hat style with a tear drop crease, a narrow brim and a short crown which is perfect for events such as plays or weddings. It is a perfect choice for you if you want to enhance your Vintage look. Material is the first thing that you need to consider when choosing any hat. This hat is made of 100 % of cotton which is soft and smooth. It is also well ventilated to keep your head cool all of the time. In addition, with the high quality inner sweatband, the hat is able to wick your sweat away and make sure there is no irritation if you have to wear this hat for a long time. Furthermore, with such lightweight material, this hat is also very lightweight. And last but not least, the fabric of this vintage fedora hat also has a certain thickness, which allows you to wear this hat throughout the year. Finally, this hat is well made with an excellent craftsmanship for a firm and solid construction. In the end, I am sure that this fedora hat from Simplicity will last for a long time with everyday wear. In case you are looking for a wide brim fedora to buy? Check out this fedora hat from Simplicity, a well-known and reputational fedora hat brand. This hat features a classic style with a tear drop crease, a narrow brim and a short crown. It comes with a herringbone band and an iconic crest. And while it has a classic style, it is so well designed with the well-blended colors to have a stylish and trendy look. You can wear it to formal events as well as smart casual events, along with your formal suit or smart suit. It is made from 80 % of polyester and 20 % of cotton. There is a lining made from satin to prevent hat hair as well. The satin lining is also effective in term of preventing irritation and keeping your head cool all of the time. Another thing that I love about this hat is that this hat is available in 30 combinations of colors- mostly in the dark colors such as grey, charcoal and black. You have a lot of choices of colors to choose from. You can also choose different patterns such as stripes or hounds tooth. You can consider these unique patterns for a bolder and more vibrant look for a wedding or a prom. 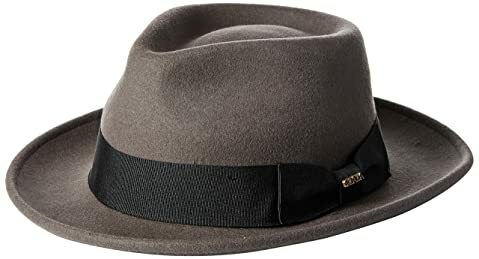 The thing that I don’t love much about this fedora hat is that the hat band of this fedora hat is not removable for cleaning or changing of styles. 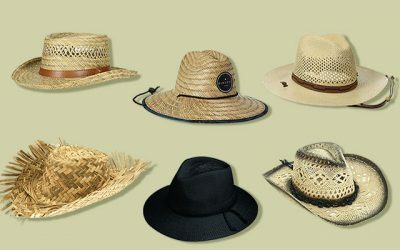 A straw fedora hat is the hat that a young man would look for if he wants to buy a hat for a beach holiday. And one of the best straw fedora hats on the market is this one. It is one of the best sellers for several reasons. 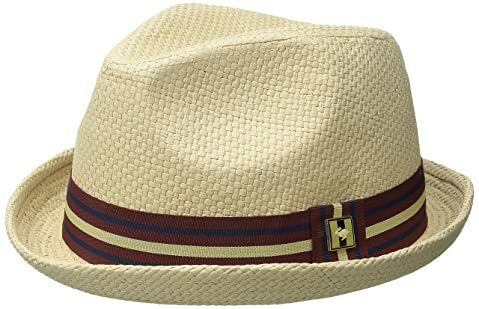 First of all, this straw fedora hat is made of the high quality material, which is 100 % of straw. The natural straw of this hat is well woven to form a lightweight, breathable and cool fabric. Hence, this hat is suitable to wear in the hot summer days. In addition, this hat is also made with an inner sweat absorbent lining fabric, which helps to wick moisture away effectively. It also prevents the straw from rubbing your forehead and cause irritation. 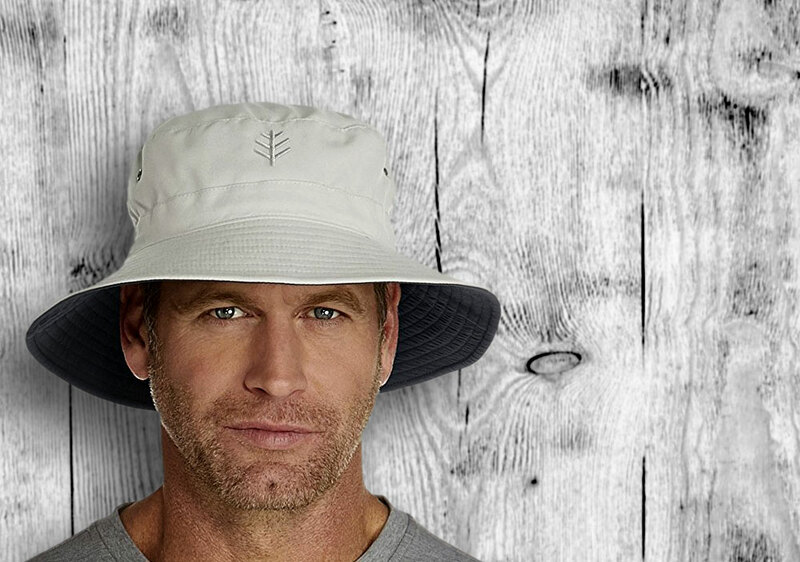 This hat is also a great choice to wear when you have to go out in a board day light as the hat can offer a great shade for your face and prevent the harmful UV sun rays from getting to your skin. You can choose among several colors such as black or brown. This hat is also available in other brighter colors such as pink and white. The design of this hat is the traditional style with the teardrop shaped pinched crown. It is a stylish and also functional fedora hat to wear on the beach or when you go hiking or fishing. A fedora hat is not only used for a formal event or for when you go to the beach. A fedora hat can be great choice as a dress hat for a party or a special event. 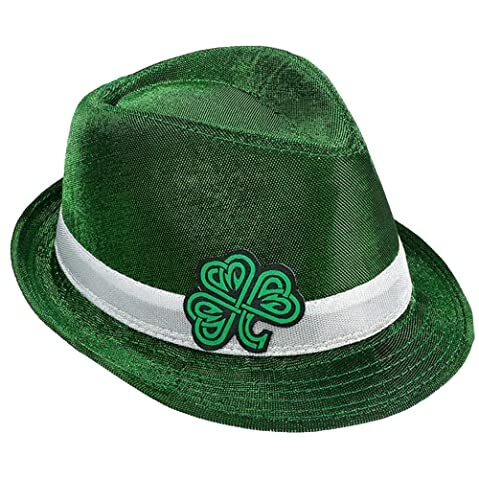 And if you are an Irish looking for an unique dress hat to wear in the spring holiday, St. Patrick’s Day holiday or so, this is the hat that you definitely should look for. You can make a fun fashion statement with a distinctive Irish accent with this hat easily. There are 4 designs for you to choose from. All of them have the green color as the dominant shade along with the traditional icons of the St. Patrick’s Day such as shamrock. As I mentioned before, this hat is a great costume accessory. Hence, the main focus is the design and the colors, which you would not be disappointed. The colors of the hat are so vibrant and bright, not to mention that they can remain the same shade after you wear the hat for a while. Since the hat is used to wear for parities and certain holidays, the quality is not the strength of this hat. While it has the solid construction and a light weight, it is decent made with affordable materials. Still, if you are looking for a hat that can be worn for several years, it might not be your best option. Nevertheless, I am sure that you would have a lot of fun and compliments as well. One of the most popular fedora hats among fashionistas and fashion bloggers is this iconic straw hat from Peter Grimm. This hat has a classic trilby style featuring a short 1.5 inch upturned brim and a narrow 4.5 inch crown. It also features a striped band and the iconic Peter Grimm rabbit logo. Like other high quality straw fedora hats that you can buy on the market, this hat is made of 100 % of durable natural Tokyo straw. The fiber is comfortable and light weight. The straw of this hat is tightly woven by hand for a durable fabric. 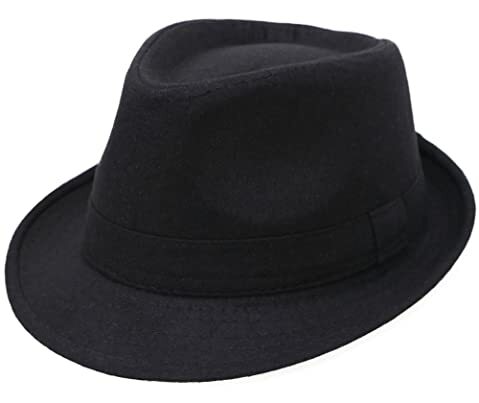 In addition, this mens fedora hat has a built-in soft sweatband which is capable of capturing the moisture away and ensuring you feel comfortable all day long. All of these great features make this hat an essential headwear that you can enjoy wearing all year around. Also,, the upturned Cuban style and the stingy brim can surely make you stand out from the crowd. It is also easy to pair with other pieces of your clothing thanks to its timeless design and solid color. You can choose among different colors such as natural, blue, green, or black. 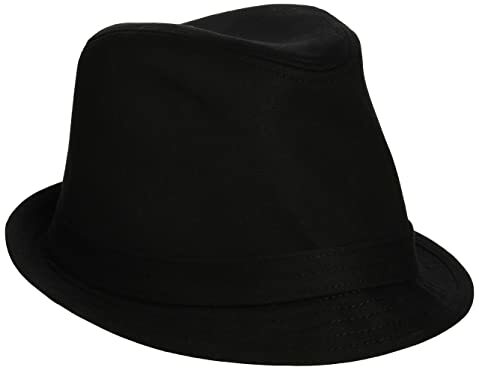 Unlike most of the fedora hats on the market, this fedora hat is available in various sizes, including XXL. So if you have a head’s size which is more than average, you can have a perfect fit with this hat. 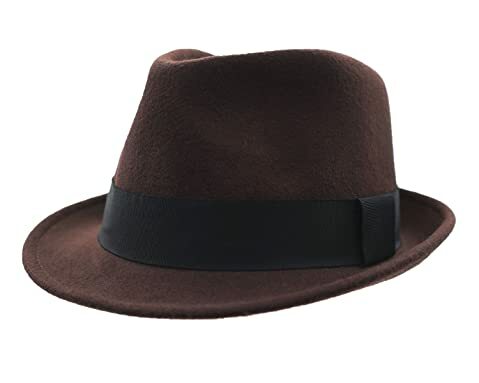 If you are looking for a high quality mens black fedora or brown fedora hat made from leather, this shiny fedora hat is worth checking out. A faux leather hat with a shiny look can be worn to a party, plays, or theaters. It is not as formal as hats made from wool but can bring you a certain smart casual look when you pair it with your smart casual clothes. This hat is made from faux leather which is polished nicely to bring a bright and shiny look to the fedora hat. The material is lightweight and gentle on your skin. 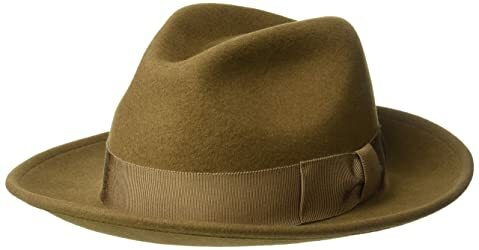 Another thing that I love about this fedora hat is that unlike other fedora hats made from straw or wool, you don’t need much care with this hat. Faux leather is easy to care for as you can clean it with water and it will dry out quickly. With the high quality material and the comfortable head band, it is very breathable and well ventilated to keep your head cool. It also prevents moisture and sweat from trapping inside your head effectively. Also, the hat is very flexible, which you can fold and pack it into the bag for carrying around. Also, this fedora hat is made with an excellent craftsmanship for a firm and solid construction that will last for several years. 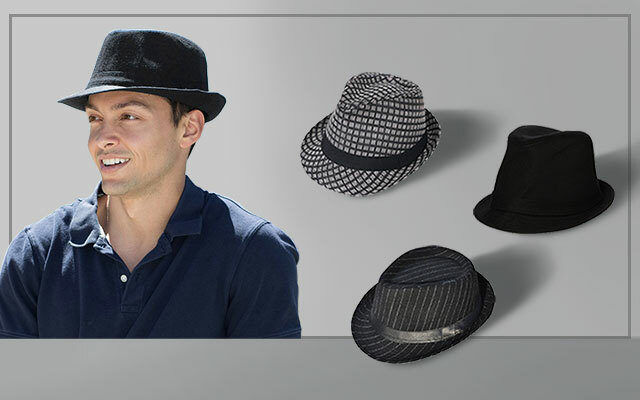 Take a look at this fedora hat for men from Home Prefer. With the short brim, the teardrop shaped top and a pinched crown, this hat provides a classic and traditional yet distinct look for the hat. This hat is made of 100 % of wool with a pinched crown, a short brim, and a grosgrain band. It can surely keep your head warm in the winter day. While the shell of the hat is made of the premium wool which is smooth and warm, the headband is made of satin. 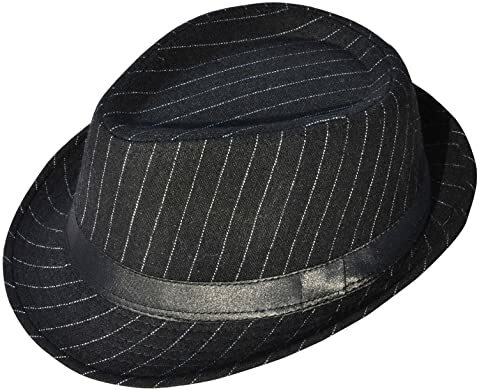 The satin lining, like other high quality parts you would find in an expensive fedora hat, can prevent hat hair and wick moisture away for you. The brim of the hat can be curved up and down and you can change the shape of the brim in whichever way you like. When the brim is flat, the width of it is 4.5 inches, which is sufficient to cover a wide area of your face as well as your neck and your ears, protecting your skin when you go out in a board day light. You can choose among 2 options of colors, which are coffee and black. While the choice of colors is limited, these colors are quite easy for you to pair with all of the clothes in your wardrobe. You can wear this fedora hat to special occasions like weddings, proms, plays, and derbies. The Country Gentleman frederick fedora is made with 100 percent of wool. This material is soft and smooth with a luxurious feeling. It is also very lightweight and comfortable for you to wear for a long time. The satin lining sewn inside the hat also prevents rubbing as well as hat hair effectively. Another thing that I love about this hat is that while this hat is made of wool, which is warm enough for you to wear the hat in the winter, it is also very well ventilated and breathable. When you wear this hat in a hot day, you can still feel that your head is kept cool throughout the day. Furthermore, the construction of the hat is very sturdy and solid with excellent craftsmanship to bring very solid stitching lines and no loose threads. This hat is definitely a formal wide brim fedora hat that you can wear throughout the year. And with the durable material and careful craftsmanship, this hat will also last for several years. 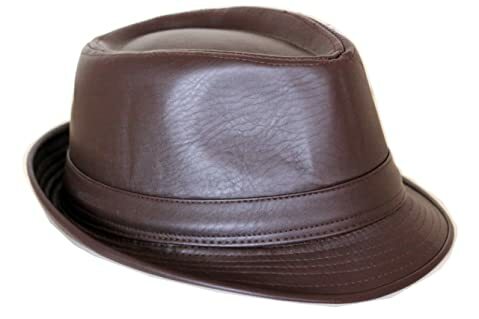 This fedora hat is available in 5 options of colors including black, brown, and chestnut. It features the style of mens wide brim fedora hats along with a pinch front center dent crown and a rolled brim edge. It is also made with a grosgrain ribbon headband. If you want to buy a fedora hat that you can bring along with you when you go travelling, this hat is the best choice for you. I say so because the material of this hat is 100 % wool felt. The premium material makes it easy for you to crush the hat, fold it, and pack it inside a small bag for easy storage and carrying around. The wool material also makes the hat soft and lightweight. It is so soft and smooth that the hat, even when it rubs your forehead, will cause no irritation at all. Another thing that I love about this hat is that it is made from water-repellant material. Therefore, you can wear it outside when it is slightly rainy. Also, when this hat is slightly wet, you don’t have to worry that the fabric will sink or the construction of this hat would be destroyed. In addition, the wool material makes the hat quick flexible and stretchy. As a result, you can have a comfortable and perfect fit with this hat easily. There are 2 options for you to consider which is grey and black. While the choice of colors is limited, these colors, along with their solid design, would be an easy choice for you to pair them with other pieces of your clothes, especially your formal suit. If you want to have a fedora hat which is not really outstanding but still have their subtle fashion sense, check out these hats. This timeless fedora hat is made of 50 % of wool and 50 % of polyester. 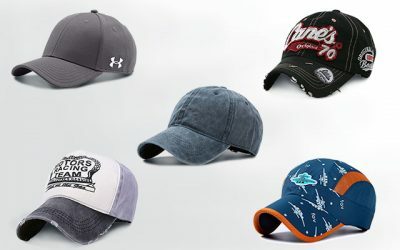 These materials are of premium quality, which makes the hat soft and lightweight. In addition, the blended fabric is warm enough for you to wear in the cool days. 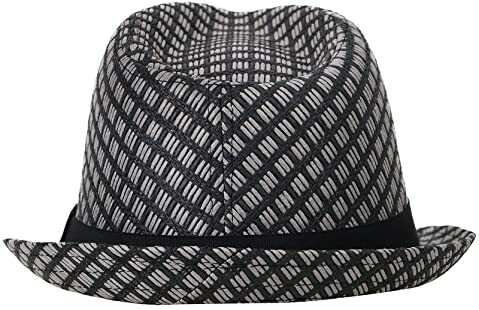 Besides, this fedora hat features an inner sweatband which is made of 80 % of polyester and 20 % of cotton. This fabric is therefore, capable of wicking moisture away and keeping your head dry all of the time. With this classic fedora hat, you can choose among 6 options of colors such as black, brown, navy, and khaki. The style of the hat comes with the narrow upturned brim. The brim is not too stiff with a little body in it, enabling you to fold it to design the hat to the shape that you like. Also, this fedora hat is so well made that the construction of this hat is very firm and solid. While creases can appear on the hat, you can easily steam the part to make the fabric flat again without damaging the quality of the fabric. This hat can retain its original shape after a long time. The brim of the hat is stiff, which will not become flimsy or floppy and block your sight when a strong wind is coming your way. This hat can be worn with your formal attire, in case you need to wear something to a wedding, a funeral, church, or to a business meeting. 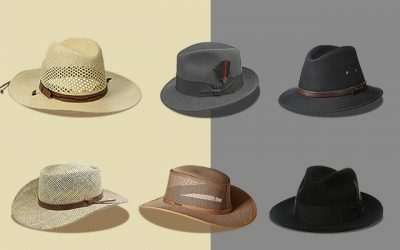 We have come through the reviews of the best fedora hats for men in 2018. 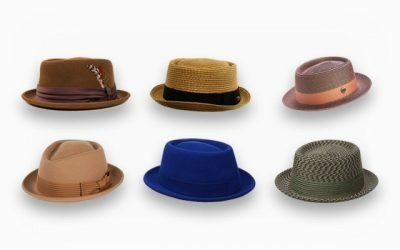 In order to choose the best fedora hats on the market, you need to consider when you are going to wear the hat- to a formal event, to church, plays, or to a casual event. Materials and colors are also the things that you need to consider as well. I hope with my reviews above, you can choose the hat that is ideal for you. Once you find the hat that meets all of your needs and requirements, I am sure that this hat will become a staple in your hat collection.